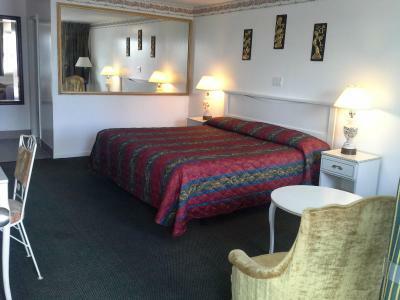 Lock in a great price for Inn Towne Motel – rated 8 by recent guests! Good value for the cost. I wanted a basic inexpensive way to stay in the area while going to Ace of Diamonds mine. The staff was helpful and friendly. I thought the site inferred there was morning coffee provided but there was only a coffee pot in the room. Not much description online - but there was a roomy refrigerator, microwave, ironing board, and satellite tv with wifi. Parking was in a courtyard like setting and I felt safe. 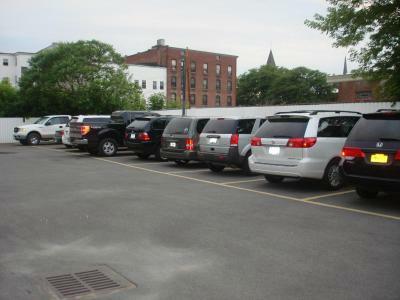 Anything you need is relatively close by - Dunkin Donuts coffee, Walmart, restaurants. Liked sightseeing the country roads with farms nearby. Close to where we we're going. Nice room and clean. The room was a good size. Clean. Bed was average comfortable. Did not see on-line that a continental breakfast was available. What a wonderful surprise to find out that one was! The willingness of the desk employee at check-in to accommodate my few requests. Clean, very comfortable mattresses, spacious. Great value, warm welcome. First visit, will be returning often. Family-owned. It was clean and the bed was fine. The staff was very nice and helpful. Great customer service! Very friendly and helping owners. We had extra person unexpectedly and immediately were offered a larger room for tiny extra fee. Everything was super clean. Rather simple appearance, but you get everything you need in your room and breakfast was included as well. Very comfortable bed. Had wonderful sleep! Thank you! The location was great we walked around the town it was close to everything. Bed was comfortable and the room temperature was okay. 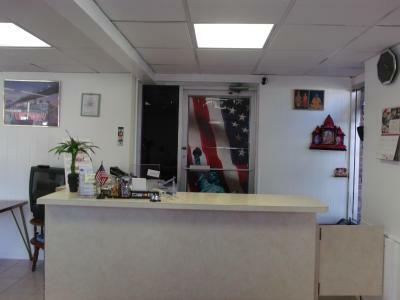 Inn Towne Motel This rating is a reflection of how the property compares to the industry standard when it comes to price, facilities and services available. It's based on a self-evaluation by the property. Use this rating to help choose your stay! 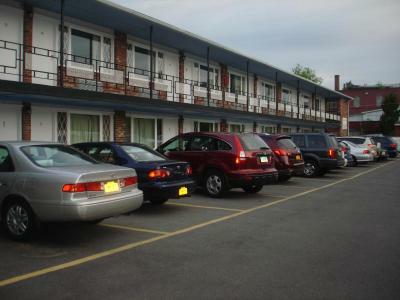 This motel is just 5 minutes from Interstate 90 and is located 16 miles from central Utica. Free Wi-Fi and a flat-screen cable TV are available in every room. The National Baseball Hall of Fame is 28 miles away. The Inn Towne Motel features rooms with a refrigerator and coffee-making facilities. 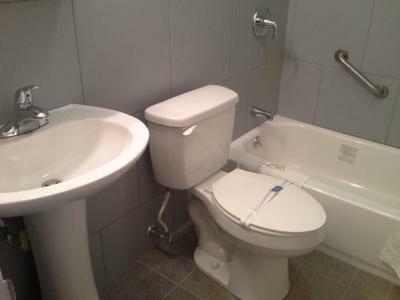 They also have a private bathroom and privately controlled air conditioning. Guests can use the on-site laundry facilities at the Herkimer Inn Towne Motel. Copy and fax services are provided at the 24-hour front desk. The Herkimer Diamond Mine is a 5 minute drive from the motel. Holland Heights Golf Course is 2 miles away. 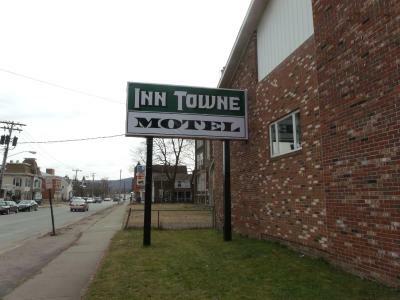 When would you like to stay at Inn Towne Motel? This room features a flat-screen TV, a refrigerator, and coffee-making facilities. House Rules Inn Towne Motel takes special requests – add in the next step! Inn Towne Motel accepts these cards and reserves the right to temporarily hold an amount prior to arrival. More information upfront. The room door didn't seem as secure as I'd like but it had a deadbolt. No guide on TV. Antiquated shower but plenty of hot water. We should have left, got our money back and went somewhere else. It was late when we needed a place after traveling all day. The room was dirty and made you feel disgusting. The chairs had stains. I didn't want to walk on the carpet without my shoes. The sheets were clean though. We chose not to shower due to the way we felt about the room. We did not feel safe. The small desk was okay but there wasn't a desk lamp and the light in the room wasn't enough at night, or even a cloudy day. Some long-term folks were noisy after 10pm. Ice should be available without having to go to the front desk. Perhaps invest in an ice machine or two. The room had an unusual odor when we first opened the door - perhaps cleaning materials used to prepare the room. Leave the door open for awhile. The shelf below the bathroom's mirror needed to be cleaned more thoroughly. Other than that, the room was impeccable! No ice maker, had to go to the office to get some. The chairs were quite soft and you felt like you were on the floor. Group of men ages 20 -45 hanging around outside our room all day and past 10 pm playing the radio very loudly, using vulgar language and smoking. Two were wearing orange shirts and someone said they were worker; however, they did no work. They sat all day and into the night being loud and vulgar. Frankly, it was a little scary. Room was clean and adequate. Not enough shaded areas to relax outside. Coffee was not so good.